Today, we saw PKR and SUPP fielding their candidates for GE13 election. 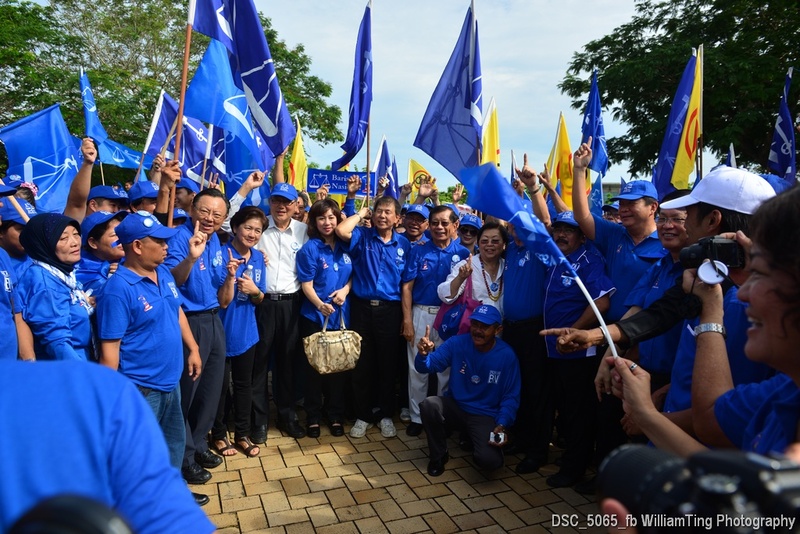 At SUPP (BN) side, we saw at least 1000+ people who is fielding Dato Sebastian Ting. Accompanying him were all the big guns from SUPP Miri. On the PKR side, they fielded Dr. Michael Teo. He has a small crowd of well wisher. But we cannot judge based on the size of the crowd as one of the supporters told me that last year they have similar crowd but they won! For PKR side, we didn't see Eunice Lim from DAP coming to give support. Original plan was to field Eunice from DAP but due to the fiasco from RoS, only one can be selected. Another candidate from Star was fielded and I did manage to take a picture of him. 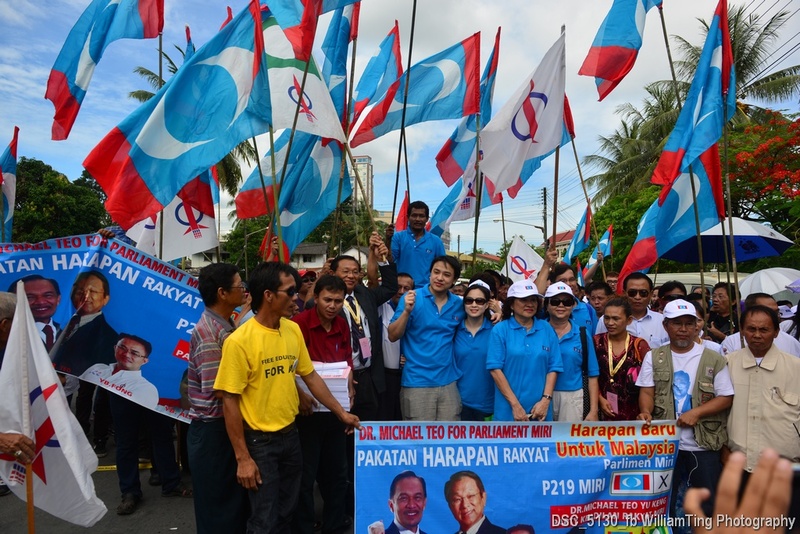 Starting tomorrow, I hope to give more updates on a daily basis to report on Miri election. The BN candidate joined the wrong party as he is a good man. Matthew, I know that. Lots and lots of people like him a lot a lot.